Happy Wednesday!! Welcome to the FIRST EVER Work-It Wednesday!!! Every Wednesday I will be sharing my challenge entries with you, and hopefully inspiring you to get out there and WORK IT too! How cool is that? You can use the photo to inspire your color choices, layout, whatever strikes you! I picked up on both the colors and the layout for this one. I did the pattern down the middle in orange, yellow, and blue, then I "belted" it with blue and white twine, and added the yellow accent in the middle. So what do you think, did I get it? Now I need to confess something to you guys, this was my first time EVER making a background with a single stamp, and I SUCKED at it. This card here was my 3rd attempt, don't look too close or you'll see what a mess the chevron is. So, if you have any tips on stamping backgrounds, I'd LOVE to hear them in the comments!! This beautiful birthday stamp is from the Unity Stamp Company Birthday Jubilee and the border stamp is also from Unity, Everything Wonderful. For the twine I used Trendy Twine Totally White and I colored one strand blue with my Copics. I am also linking this card up to the Unity Be Inspired Challenge as I did attempt to follow the sketch and I used the sentiment kit, yay! Well, that's it for today my friends. 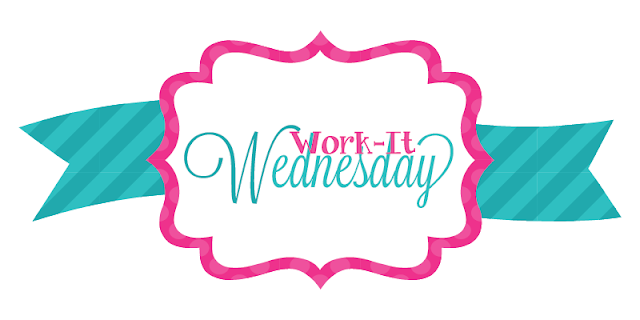 I hope you enjoyed my first Work-It Wednesday! Don't forget to enter my Relaunch GIVEAWAY ---> HERE!! GREAT card Alyssa! Love your take on the photo! Beautiful! 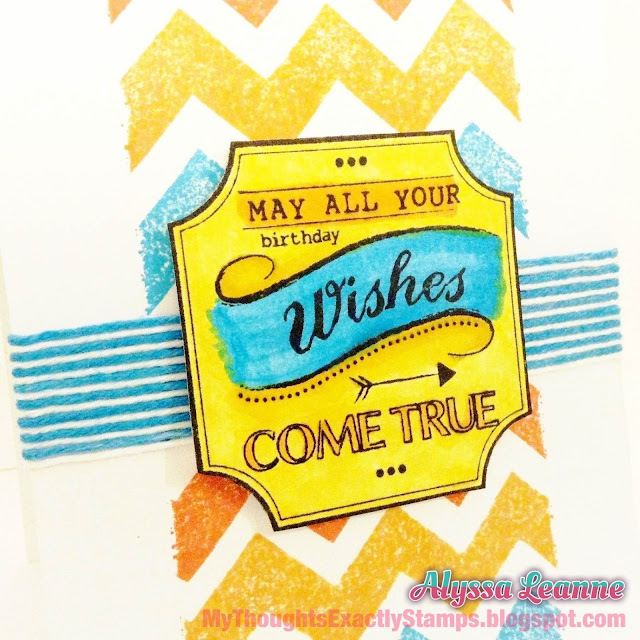 LOVE the stamps you used for this! I see that you've been busy using Unity! Aren't they great? 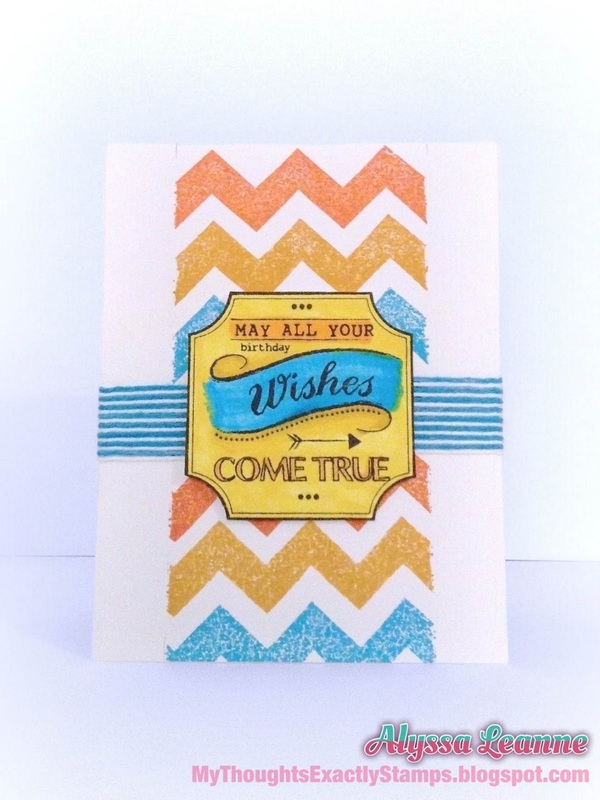 Great to see you back crafting, and loving all your cards, Alyssa! Happy to know that RIC is one of your favorite challenges!!! This one is RAD and absolutely FAB! So glad that you join the fun with us at Runway Inspired Challenge! I love this - the colors are fabulous and you totally got the effect you wanted! Lovely card. Great take on the colours. I struggle with straight lines, etc when trying the same background stamping, so I just like to find ways to "hide" my flaws with layers or embellishments. Your colorwashing on this card looks great, if you thought you had problems, I cannot tell! This is beautiful! The alternating twine is an awesome detail! Lovely card. You may have struggled with the stamping but the final result was ok and the work with the alternating twine was brilliant - I thought it was a stamp before I read your text and saw the close-up. All I know is that the third time must truly be a charm because this card ROCKS!!!! The entire design is BRILLIANT!!! love this one! awesome chevrons! Such a pretty card! Love how you combined the colors in such a beautiful way! So glad you joined us over at the Runway challenge! I love it! Great card! Amazing! I love the "belt" on the card! Thanks for joining us at Runway Inspired Challenge! I love how bright and vibrant this card is! !